Radium Hot Springs is defined by the striking and exquisite beauty of its surroundings. Add a little education, through fun discovery and exploration, to your visit, unearthing the magic of the local outdoors in search of Parks Canada’s Red Muskoka Chairs. It never hurts to jumpstart your visit with a stop in at the Radium Hot Springs Visitor Centre. 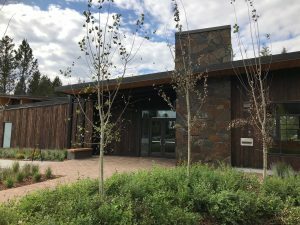 More than just a place to get area maps, the Radium Hot Springs Visitor Centre is one of the top visitor centres in the province and offers an extensive wildlife exhibit and interpretive display. 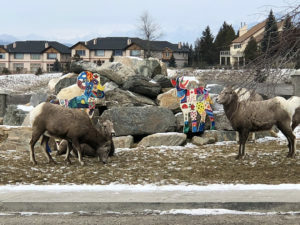 A huge attraction to Radium, the Centre provides a unique educational component, not only about what you can experience in the community and throughout the Valley, but with regards to wildlife as well. Talk to the trained and expert staff and learn about the local flora and fauna and, of course, all there is to see and do as well as where you’ll find some of the most beautiful scenery anywhere. Be sure to mention your interest in the Red Chairs! 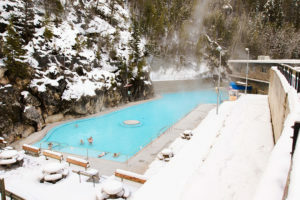 A great beginning to your getaway is a relaxing soak in the Radium Hot Springs Pools. Learn the rugged history of these healing springs before luxuriating in the soothing, hot mineral waters, nestled beneath craggy, snow-covered rock cliffs. The perfect way to unwind after travel. Warm, relaxed and in vacation-mode, head out for a tasty, casual meal and a delightful glass of BC wine or spirits at one of the cozy lounges or pubs in town. If you’re here on a Monday night enjoy some of the best live music in the Columbia Valley and beyond at Live Music Mondays. Visit one of Radium’s nearby cafes to grab a great coffee or quick breakfast to start the day. In addition to a great coffee, be sure to pick up something for energy because this is bound to be an active and breathtaking day. 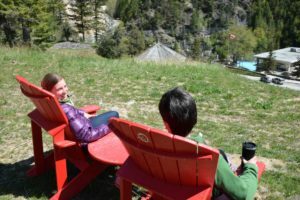 Red Chair walk #1: Parks Canada has placed two sets of red Muskoka chairs at scenic locations in Kootenay National Park. While some chairs are easy to find, others require more of an adventure. Watch for sheep as you walk up the Juniper Trails across the Radium Hot Springs pools to take in the view from this newly reclaimed area. Between Red Chair walks, take a break for a relaxed and casual meal and warm up with a hot beverage in one of the several restaurants or lounges boasting a cozy fireplace. Red Chair walk #2: Enjoy a landscape shaped by fire and erosion as you admire the turquoise, glacial waters and startling canyon walls of Marble Canyon. Each location offers views of exquisite views of mountains, rivers or lakes. They are both accessible in winter, but choose appropriate footwear, perhaps even snowshoes depending on the amount of snow. On the way back to town, the mineral-rich waters of the Hot Springs are the perfect warm up after a day of Red Chair exploring. After a full day of exploring in the fresh air and a hot soak, you’ll be ready for a good meal. Enjoy an evening of fine dining in one of Radium’s several restaurants. Delicious food and great wine make for the perfect end to a lovely, scenic day. Get a relaxed but healthy start! 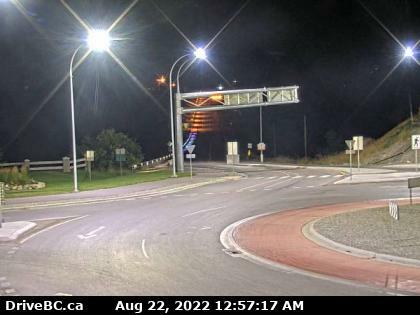 Begin your morning with home-cooked breakfast in one of Radium’s delicious local eateries: a hearty breakfast burrito, traditional bacon ’n eggs, and so much more. Grab your skates or your stick and a ball and head to the new Radium Hot Springs Centre for some fun on the ice or the blacktop! Enjoy crisp, fresh air and the beautifully maintained outdoor ice rink. Great for individuals, couples and families, alike – the perfect winter outdoor activity in Radium. Before leaving the Centre, be sure to enjoy a peruse through our beautiful, new Public Library. Have a sit, a quiet read, collect your email, and just enjoy the peaceful, inspiring, literary surroundings.